Thought I'd do a quick post about a new company that I just started with my brother Tom. It's called Card Included, and it's a self-serve download card service. There's a ton of places to get download cards these days, but none are self-serve. 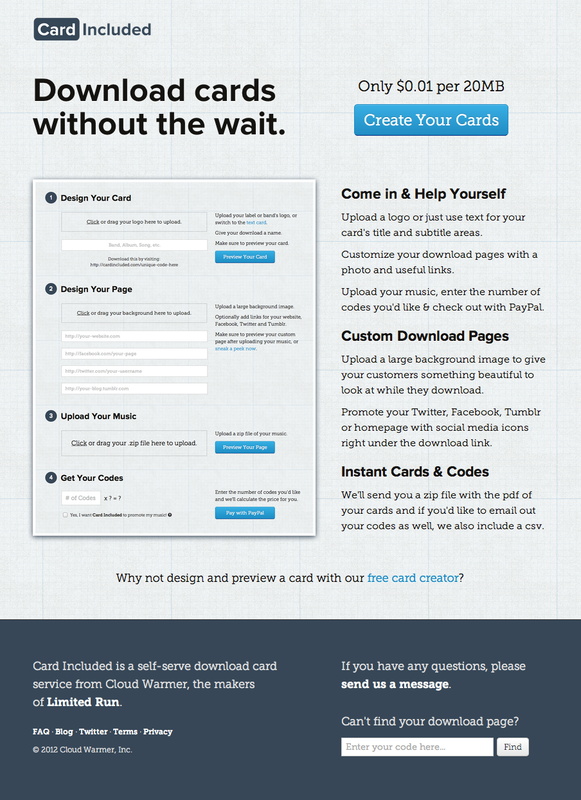 Card Included lets you build a text or logo card with a simple creator. 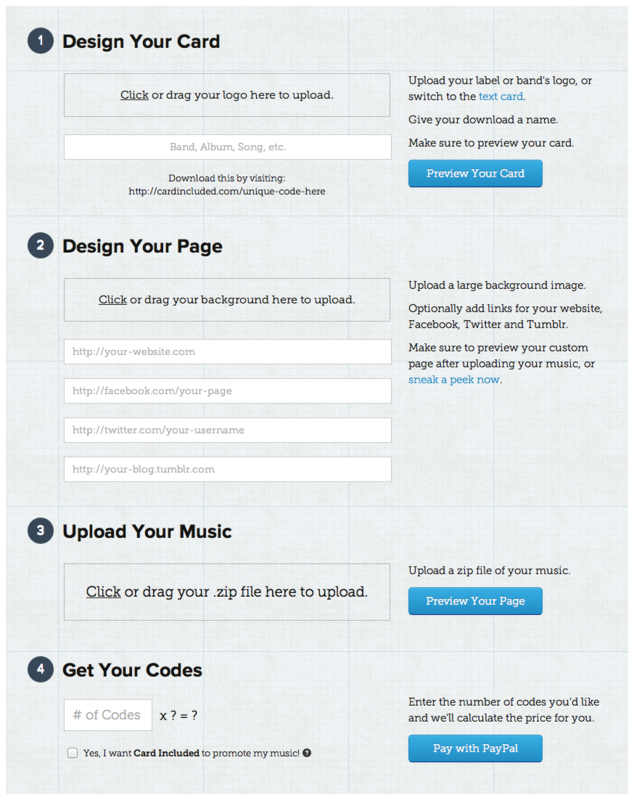 Then when you're done, you checkout and we immediately email you a link to download your cards. It's a really easy to use service that I'm pretty proud of. If you have any questions, you know where to get a hold me. Hi, is this service still running? If so, what are the costs?